Discover two of the biggest attractions of Budapest in one day! Tours are available from 11AM. Our hostess will be at the Visitors Entrance 20 minutes before the tour starts to greet you. A guide will take you around the gigantic halls of the House of Parliament while sharing the secrets of its past. 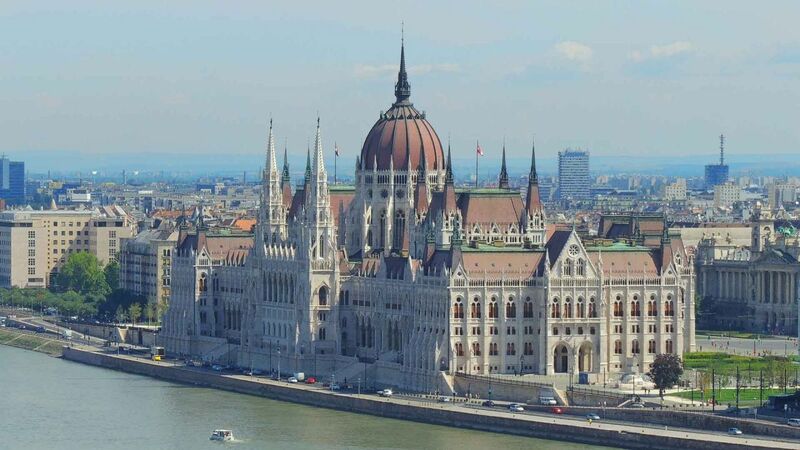 You will even have a chance to explore the hall of the National Assembly and to lay your eyes on the holiest relics of Hungarian history, the Holy Crown and the crowning jewels. After the tour, mix pleasure with pleasure and discover the largest thermal bath in Europe! In the Széchenyi Spa, there are 15 indoor pools that vary in size and temperature, ranging from 20°C to 40°C, and 3 outdoor pools as well. The outdoor pool includes a spinning corridor, a neck shower and a water back massage installed in the sitting areas. The fast track entry ticket provides VIP entrance to the spa without waiting in line! This will be your ticket to the Parliament, make sure to bring a PRINTED COPY of it with you. You can spend the rest of the day in the Széchenyi Spa, it's open until 22:00.